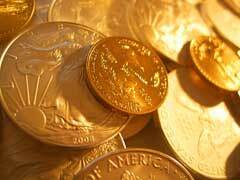 Certified Gold Coins – Where to Buy Them to Avoid Scam? From the birth of civilization gold coins were considered to be the best and most liquid investment that could be easily sold for profit in difficult economic times. Unfortunately, high demand for gold coins made of precious metals created ground for all sorts of swindlers and scammers trying to make a profit by misleading customers, especially over the Internet. Buying certified gold coins is perhaps the safest and most reliable way to invest your hard earned dollars into gold since the term “certified” stands for a coin being assessed by a professional coin specialist from one of the four major grading agencies including, NGC, PCGS, ANACS and ICG. Certified gold coins are typically encased with a temper proof plastic seal bearing a mark of grading assurance. The process of coin certification takes the guesswork of buying gold coins and eliminates confusion associated with assessing gold coin pieces purchased over the Internet or through coin dealers. Though higher priced, certified gold coins exist to protect coin collectors from buying gold plated fakes and to facilitate safer rare gold coins trading. It’s essential to purchase certified gold coins and gold proof coins only from reputable sources that offer highly graded gold coin products along with excellent customer service. You should definitely avoid buying certified gold coins through TV commercials, gold shows or e-mail offers since these coins are highly overpriced and might lead to potential fakes. Same stands for buying coins through Internet auctions from sellers with no or very little feedback history – you never know what to expect from such transactions. The general rule of avoiding any type of gold coin scams is to stay away from buying very rare or historical coins that are generally not commonly circulated among average coin collectors. The rarer the coin, the harder it’s to research and assess its true value. Start your research from a wide array of online coin investment forums, Google groups or ask another coin collector what place he recommends for buying certified gold coins. If you feel pressured into buying gold coins or your coin dealer can not produce any valid documentation from a reputable grading agency, walk away from this transaction. One of the most valuable among certified coins that are widely accepted among top coin collectors is gold Vienna Philharmonics coin that represents the finest examples of modern day 24-karat gold bullion coins.